UK reissue for UK NWOBHMetallers, their debut album, originally released in 1981. Remastered and featuring bonus trackstaken from their 1981 single 'Heavy Metal Mania'. 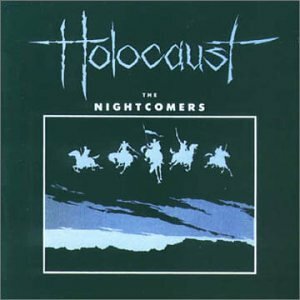 Holocausthave been covered by such diverse acts as Metallica, Gamma Ray, Six Feet Under and The Meat Puppets. Bonus tracks, 'Heavy Metal Mania' (single version), 'Love's Power' and 'Only As Young As You Feel'. 2000 release. Standard jewelcase.